This product has been discontinued. But you can find information on other types of flat mops that may be a good choice. The Clorox ReadyMop works well for in-between cleanings or as a quick mop for fresh spots and messes. Like other disposable mopping systems, the replacement pads and replacement cleaning solutions can become expensive. The Clorox ReadyMop does work well on many floor types including, tile, vinyl, laminate, wood, marble, and stone. But, for serious cleaning power, you'll need another mop. The Clorox ReadyMop is easy to use and store. The all in one system keeps everything together. The Clorox ReadyMop can be used on vinyl, tile, marble, laminate, wood, and stone. Scrubbing pad is still gentle enough for wood floors. Scrubbing pad is not tough enough to always scrub away tough dirt. Replacement mopping pads and solution can become expensive. On some floor surfaces, the mopping solution can dry streaky on the floor. Clorox ReadyMop comes in a starter kit that contains the entire mopping system, mopping pads, and solution. Refills of the mopping pads and the cleaning solution are also available. The Clorox ReadyMop starter system retails for around $19.99. The refill solution retails for 5.99. The 16 ct. Clorox ReadyMop cleaning pad refills retail for 7.99. With a lot of little feet that run through my home, it seems like my floors are always in need of a mop. Dragging out a mop, solution, and a bucket 10 times a day is not an option. Wouldn't it be nice to have an all-in-one system that could be pulled out easily to mop up messes? The Clorox ReadyMop is designed to be that tool. 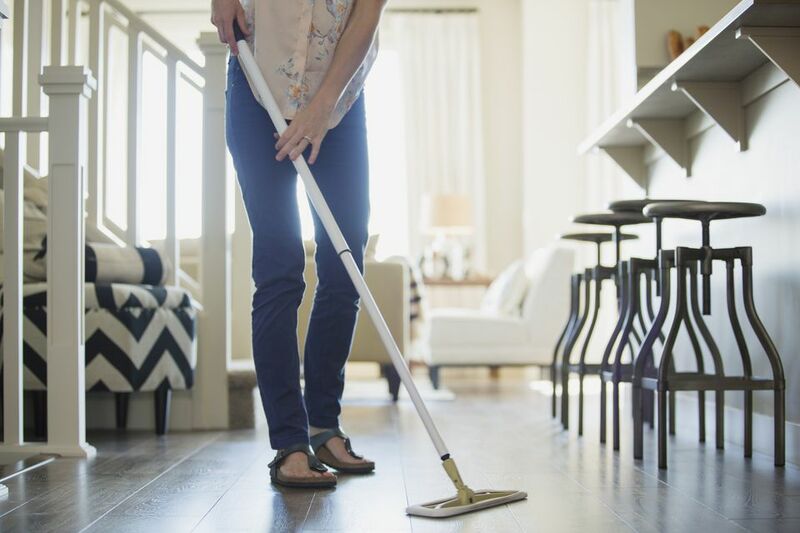 Like many other flat mops, it has a ton of options that make it convenient to use and care for. There are refills for the mopping pads and the cleaning solution.These are available in a variety of sizes. For me, the Clorox ReadyMop did a nice job cleaning floors. The cleaning solution sprayed evenly with the trigger mechanism. The pads were absorbent and did a nice job of cleaning the vinyl and tile floors I tested them on. The pads had trouble scrubbing two stickier spots on the floor. I think they would have done better if I had sprayed those spots initially and allowed them to soak a little. One of the major disadvantages of the Clorox ReadyMop and other disposable mopping systems is the cost of the refills. If the main goal is to be able to quickly mop often, then having to use a new cleaning pad each time is going to start getting expensive.